Ronnie James Dio, a singer with the heavy-metal bands Rainbow, Black Sabbath and Dio, whose powerful, semioperatic vocal style and attachment to demonic imagery made him a mainstay of the genre, died on Sunday in Los Angeles. 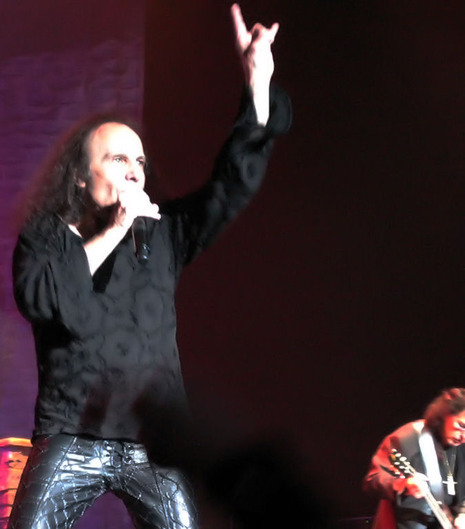 No cause was given, but in recent months Mr. Dio had spoken about suffering from stomach cancer, and his band Heaven and Hell canceled its summer tour because of his health. 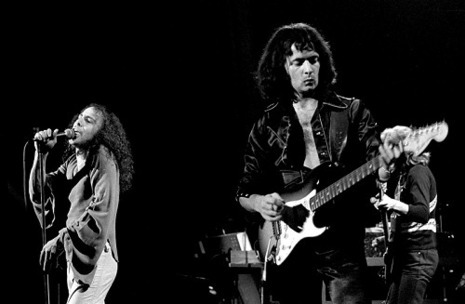 Ronnie James Dio, who has died aged 67 from stomach cancer, was the lead singer with the heavy metal bands Rainbow (in which he starred alongside the guitarist Ritchie Blackmore) and Black Sabbath, and then formed his own band, Dio. 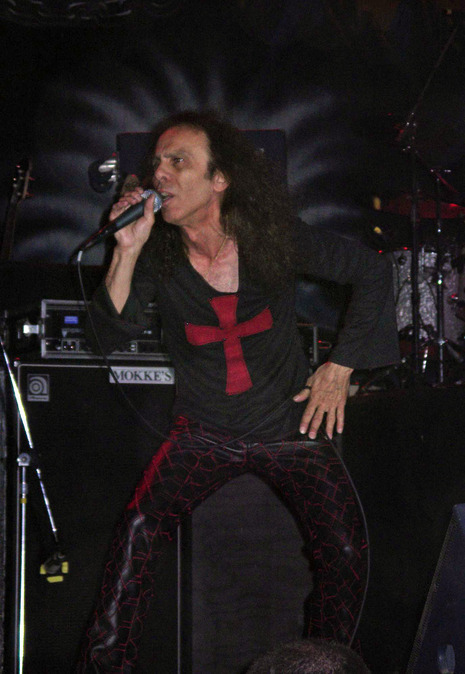 It was after a tour last summer with a spin-off version of Black Sabbath, Heaven and Hell, that Dio revealed he was ill.
Dio's career spanned over five decades, from 1957 to 2010. During this period, and particularly in the 21st century, he received a number of distinctions and awards. He was inducted to the Cortland City Hall of Fame in 2004, and also has a street named after him called Dio Way in Cortland, NY. Classic Rock Magazine awarded Dio with the "Metal Guru Award" at their yearly "Roll Of Honour" awards ceremony in 2006. On January 17, 2007, Dio was inducted into Guitar Center's Rock Walk of Fame in Hollywood, CA. 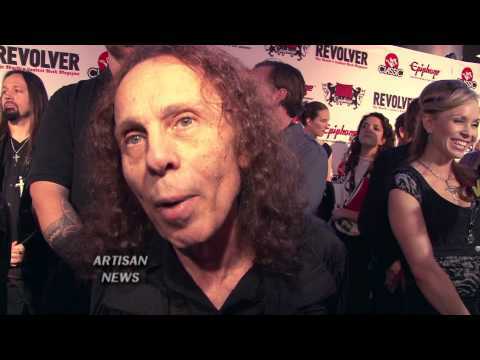 Dio was named "Best Metal Singer" at the Revolver Golden Gods Awards in April 2010 for his work on The Devil You Know, making him the oldest recipient of this award at age 67. He accepted the award in person at what was to be his final public appearance, less than one month before his death. The main stage of Bloodstock Open Air is also named after him in tribute after Heaven and Hell pulled out upon his death. 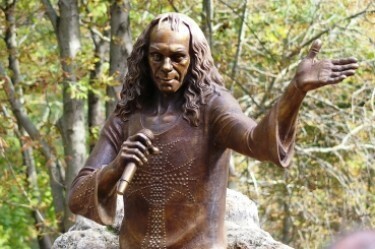 The first DIO monument has been unveiled in Kavarna, Bulgaria. Rolling Stone magazine eulogized Dio with these words: "It wasn't just his mighty pipes that made him Ronnie James Dio — it was his moral fervor...what always stood out was Dio's raging compassion for the lost rock & roll children in his audience. Dio never pretended to be one of the kids — he sang as an adult assuring us that we weren't alone in our suffering, and some day we might even be proud of conquering it".